Two women who say they were raped while serving in the military have told CNN that embattled San Diego Mayor Bob Filner made unwanted advances toward them after they met him at an event for female veterans. Nearly a dozen women have come forward in recent weeks to accuse Filner, a 10-term congressman from California who is in his first term as mayor of San Diego, of making unwanted sexual advances. He has refused to step down despite repeated calls to do so. Fernandez was joined in the CNN interview by Army veteran Gerri Tindley, who said Filner rubbed against her after she gave a speech in which she described being raped during her years in the Army. The women are two of at least eight members of the NWVAA who say Filner, 70, made unwanted advances toward them, CNN reported. 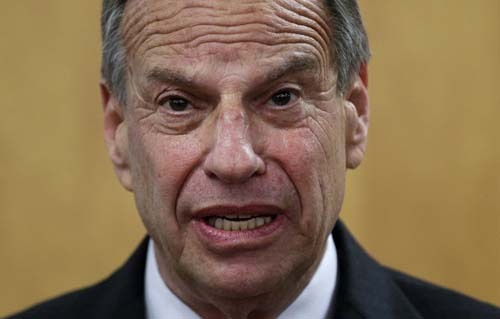 Filner has checked into a therapy program to seek help. His representatives declined to comment to CNN, according to the network’s report. See CNN’s full report here.